Begin your journey in the metropolis of Tokyo. With its huge skyscrapers, underpasses, overpasses and crowds of pedestrians, this city has a vibrant charm all of its own. Continue on to Hakone, and explore the beautiful national park boasting excellent views of Mt. Fuji in clear weather. From there venture on to Kyoto, the cultural heart of Japan, and a fascinating historical city. 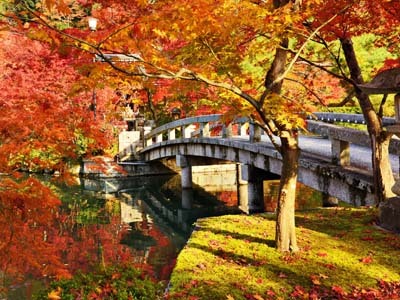 Highlights include a full day private guided tour of Tokyo, Kyoto and a traditional tea ceremony. 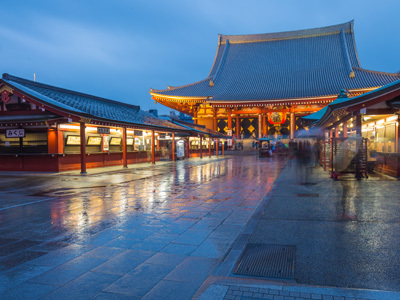 An itinerary blending Japan's super-modern & fascinating traditional aspects - all in 8 days. Today, you will be taken on a full day private tour of the city with a local guide. In order to get a real feel for Japan's capital, you will travel by public transport, just like the locals. 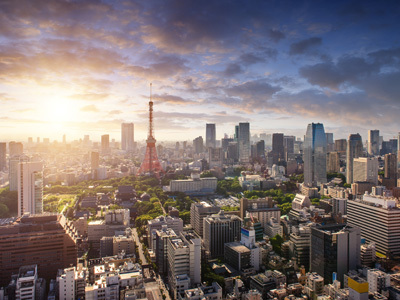 On this fascinating introduction to Tokyo, you will have the chance to explore the classic highlights and best kept secrets. Following in the footsteps of your expert guide, you will discover the exclusive features of Tokyo, known only to locals. You are free to set the pace of the day to be as busy or relaxed as you want, as you get to grips with the excellent transport network. Tokyo is a fascinating city and today you have another full day to enjoy the myriad of sights, sounds and tastes it has to offer. However, you may like to use this free day to take a day trip to one of the many places of interest, easily accessible from the capital. The charming town of Kamakura lies just 1 hour to the west of Tokyo and can be reached by direct train from Tokyo Station for a fare of 840 yen each way. Kamakura was formally the capital of Japan for a short period in the 12th century and at that time was possibly the world's largest city with a population of over one million. Today however, it is a sleepy coastal town which attracts large numbers of day trippers to spend time exploring the beautiful shrines and temples. The most famous site if the impressive bronze dai-butsu (Big Buddha) which is certainly a must-see for any trip to Kamakura. An alternative trip is to Nikko, located 2 hours to the North of Tokyo. Nikko is not only surrounded by stunning scenery that makes up the national park, but is also home to the World Heritage site of the Tosho-Gu Shrine. Nikko has been a place of pilgrimage for centuries and contains many important Buddhist and Shinto shrines and temples, but the most impressive and most famous is definitely Tosho-Gu, with its vivid colors and many ornate carvings. Another nearby National Park is the Chichibu-Tama National Park, home to the sacred Mt Takao, with its range of hiking trails and mountain-top temple complex, virtually untouched by foreign visitors. The clearly marked hiking trails (or a journey by cable car!) wind their way up to the summit, where you are rewarded with stunning views. From Shinjuku station, you will take the Odakyu Railways "Romance Car" train all the way to Hakone Yumoto Station, in the heart of the Hakone National Park. It's a comfortable ride and the wide windows afford a great view. The journey takes around 85 minutes. After you arrive at Yumoto Station, you will use your Hakone Freepass to make the journey by bus to the stop nearest your your ryokan. 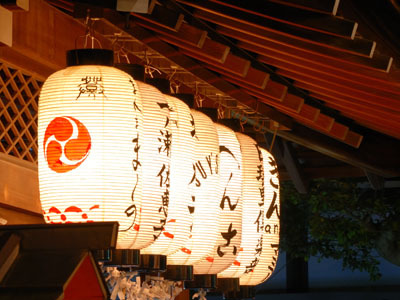 Today you will travel to Kyoto, Japan's ancient capital and the cultural center of the nation. From Odawara, the journey to Kyoto will see you racing down Japan's eastern seaboard by Shinkansen and takes approximately 2 hours. Today, you will be taken on a full day tour of Kyoto by public transport. Learning through the eyes of a local guide offers the best way to discover this city, that is so rich in UNESCO World Heritage sites, it can be hard to know where to begin! Your guide can offer the insight of a local's perspective, to truly reveal the city's authentic culture, iconic highlights and best kept secrets. Gesshin-in is a sub temple Kodai-ji, which is located north east of Yasaka Hokanji Temple and at the foot of the stunning Higashiyama Mountains in the east of the city. It is a beautifully tranquil spot and a great place to take part in a traditional Zazen meditation. The chief priest, Teramae Join will instruct you on how to sit, breath and focus, before initiating a short 10 minute session of meditation. After sounding a bell to break you from your trance, he will give a further explanation of the ways of Zen, before beginning another short period of contemplation. He is then able to answer any questions you have about this form of meditation, Buddhism, or life in general! 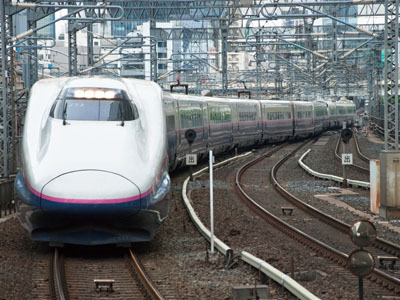 The journey between Kyoto and Kansai Airport will be on the Haruka Express. Journey time is in the region of 76 minutes. You will be supplied with Ordinary Class reserved seat tickets for this journey. Located just a 5 minute walk from Shinjuku Station, the lovely Hotel Century Southern Tower makes for the perfect base from which to explore not only Shinjuku, but the whole of central Tokyo and beyond. The hotel lobby, which sits on the 20th floor, features spectacular views of the city and on clear days, you may even be able to spot Mount Fuji towering in the distance! All rooms are stylishly decorated with quality amenities and the bathrooms offer a range of beauty products for your convenience. In the evenings, you can enjoy a variety of dining options in the hotel, from Chinese and French influences, to even a superb Teppanyaki restaurant. The Yamanochaya Ryokan provides an authentic Ryokan experience, perfect for those looking to truly live like a local. This luxurious Japanese Onsen Ryokan features lovely outdoor natural hot spring baths, one of which can be used privately. The meals served at the property include fresh seasonal ingredients and local specialties, brought to you in your room by Kimono-clad staff. Yamanochaya is located in a beautiful riverside setting surrounded by lush greenery, located across its own private bridge. Hakone Yumoto Station is just a 5 minute in a taxi ride away and the Tonosawa Station on the Hakone Tozan Railway (Mountain Railway) is just a 10 minute walk away, providing easy access to all of Hakone. 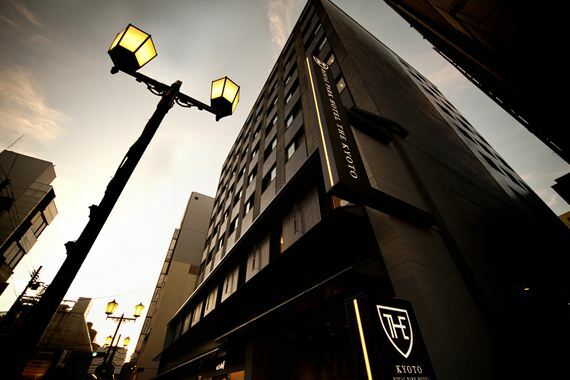 Opened in autumn of 2011, the Royal Park Hotel is a modern and stylish property in a great location of central Kyoto. The guest rooms are spacious and comfortable, and the hotel features it own restaurant and bakery cafe, as well as a useful concierge service, for your convenience. Your stay here includes having all the amenities and necessities of a pleasant visit, right at your fingertips. Just a short walk from the City Hall subway stop, it makes for a great platform to explore the city. Come and enjoy the ideal blend of tradition, art and fashion, here at the Royal Park Hotel. This is just one of many authentic travel experiences offered by Global Basecamps. If you are interested in more unique destinations to Japan with unprecedented planning and extraordinary service visit our main Japan tours page to browse other sample trips.